Basement finishing - Ottawa End-Unit Town - Page 2 - BuildingHomes.ca - Building your community! I beleive your permit will be based on $11 per $1000 of value which is $40/sq ft x the sqft. I have seen the dropped ceiling tracks go rusty in bathrooms. Suggest a high quality fan > 100cf to minimize this risk. Permit fees cover inspections. Electrical is separate and in addition. Ok. I'll check with the city to confirm everything anyway. I'll keep that in mind about the fan! Coming back to the Lowes card, which card would I be asking for exactly? Do I need to have a company name to qualify for this? Are there minimum $$ orders to get the 15% off like you mentioned? Do they email you the monthly deals? Sorry for all the questions I just want to go in this week and look like I know what I'm there for and avoid getting the run-around. I'd like to hear some feedback on what to do with insulating my walls. I've read a bunch of different methods people use, however I can't seem to settle on one. 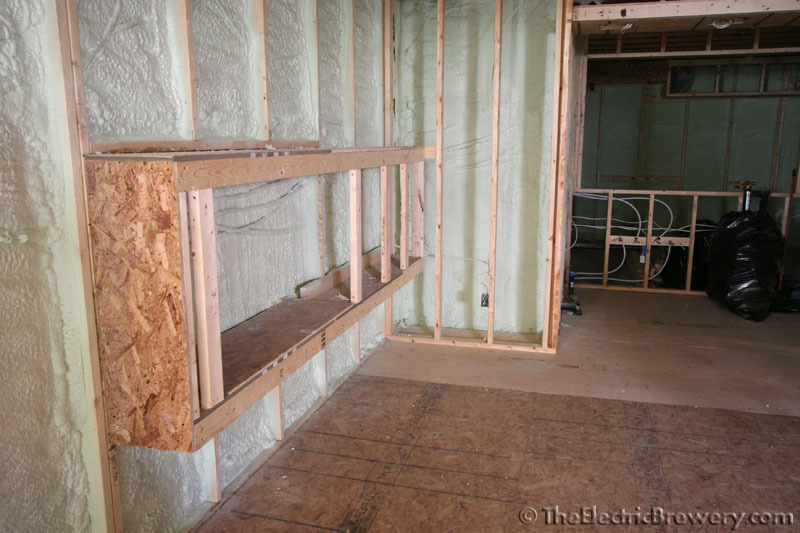 I plan to affix 1.5" rigid foam to the bare foundation walls using PL Premium or something similar, tuck taping the seams, and caulk/ sprayfoam (Great Stuff) the top and bottom edges. If I use XPS rigid foam and the method above, I believe this will satisfy the vapour barrier requirements, based on the permeability of the foam. XPS is more expensive than EPS. R-value of 7.5 for 1.5". If I use EPS rigid foam, I may still require a VB, there is less R-value per 1"thickness (R5.63 for 1.5"), however it is much cheaper in comparison to XPS. 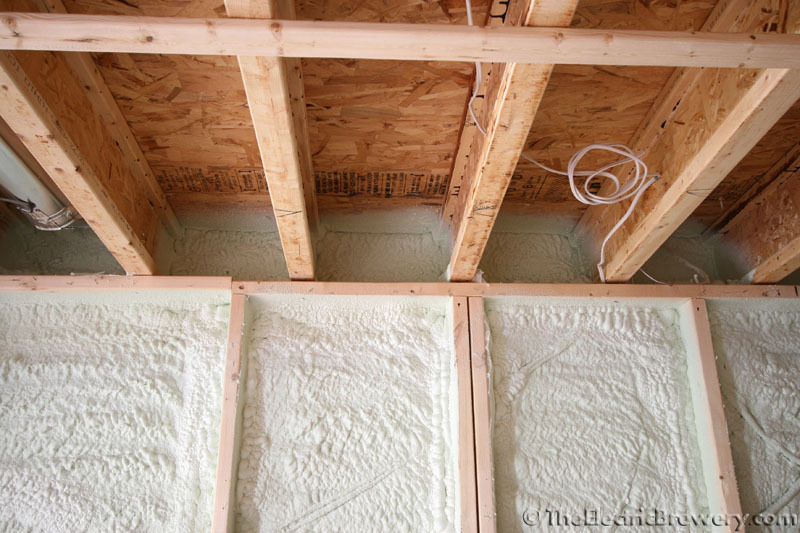 The EPS is also more permeable, so I believe this could be a pro, in the sense that if there is a bit of moisture, the EPS "breathes" more and can dry to the inside. This would be hindered however by a VB. I also recently heard of Roxul ComfortBoard. It is more on the affordable side like EPS, is affixed with nails into the concrete, and it's properties are that it is vapour permeable and water resistant, allowing the wall system to "breathe". It's R-value is 6 for 1.5" thickness. There seems to be mixed information as well with regards to using a house wrap on the concrete before the comfortboard, and the use of vapour barrier or air barrier before the drywall. I welcome any and all thoughts or personal experiences and anecdotes. Two inches (min) 2 lb spray foam. Installed by a good contractor. It works brilliantly. The only problem is you need 3" for code, which is silly. It's so air-tight that the temperature on the inside face is the same as the air temperature, eeven during a cold snap. It's expensive. Budget $1.15 per board foot. But I do think it's worth every penny. you want to apply for a contractor card. Yes you will be asked for a company name but there is no checking of anything. I dont know the details of the latest promotion. They actually called and spoke to mdw. It could have a minimum purchase but that is usually very low like $100 or $200 dollars. If you go to hazeldean ask for wayne at the commercial desk there is no run around. Two inches (min) 2 lb spray foam. Installed by a good contractor. It works brilliantly. +1 to sprayfoam. We used heatlok soya. Our basement's now the warmest floor in the house and it solve(s) any issues you have with leaky headers (which we had on our 2011 build). Nice job - who did your foam work? +1 for spray foam. Kinlar did ours but they are no longer in business. Green Tech Insulation (http://ecosprayfoam.ca/) did the work. 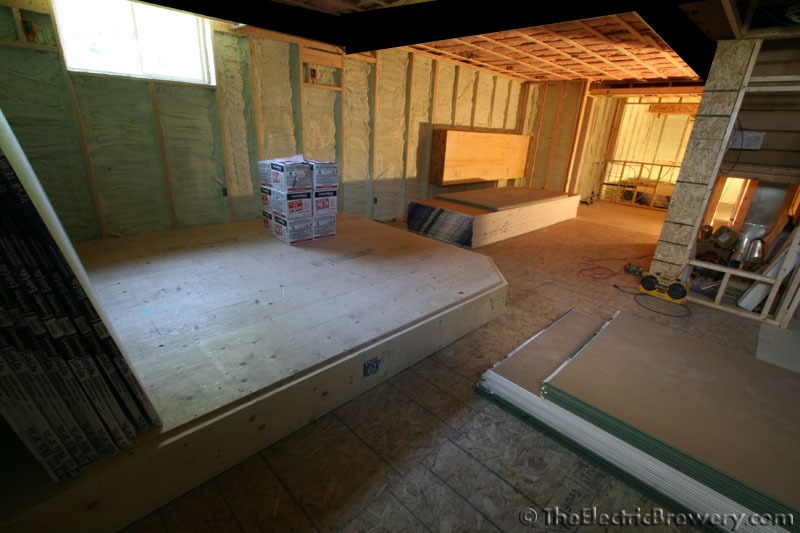 It was all organized through our designer/contractor (http://justbasementsottawa.ca). The only caveat you need to be aware of is that it's pretty caustic stuff - they sprayed on a Friday and we left that day until Sunday.